Lake Ohrid Region is very rich in natural and cultural monuments, and everyone should learn about these values. 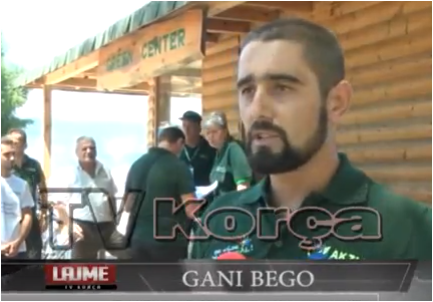 This was the aim of the activity held in Drilon, Pogradec, on World Ranger Day, 31 July, organized by Regional Administration of Protected Areas (RAPA) of Korça. 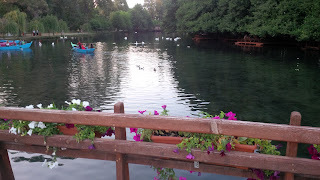 Pogradec is full of tourists these days, but most of the people don't know what to do except resting on the beach, and walking by the lake in afternoon. RAPA Korcë, used this period to inform the tourists that the Protected Landscape of Pogradec area is much broader and have many places to see. Mr Gani Bego, specialist of Regional Administration of Protected Areas of Korça, said that there are 7 cultural monuments and 7 natural monuments which tourists should visit, while are in Pogradec. RAPA Korçë gave this message through Green Center, the info tourist point which is located in Drilon area. They also distributed some promoting materials about the places and destinations around Lake Ohrid, explaining even how people can go there. 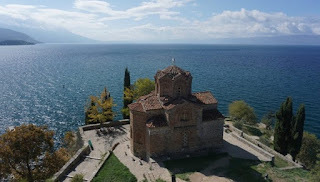 Lake Ohrid is one of the deepest and oldest lakes in Europe, and is part of UNESCO for its cultural and natural values. 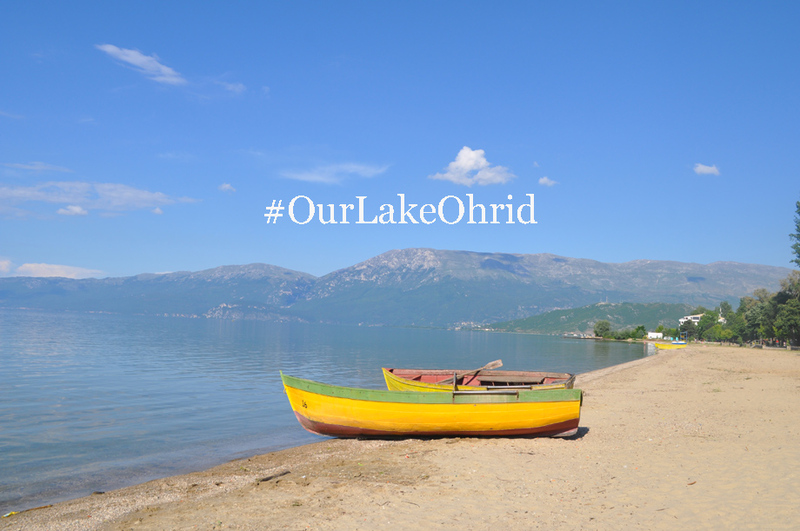 Now the project: “Towards strengthened governance of the shared transboundary natural and cultural heritage of the Lake Ohrid region” financed by Eropean Union and Albanian Ministry of Environment, and implemented by UNESCO, aims to inscribe Albanian side of Lake Ohrid as UNESCO Property. Rajoni i Liqenit të Ohrit është shumë i pasur në monumente naturore dhe kulturore, dhe kushdo duhet të mësojë për këto vlera. Ky ishte dhe qëllimi i aktivitetit të organizuar nga Administrata rajonale e zonave të Mbrojtura Korcë, në Ditën Botërore të Rojeve të Mjedisit, 31 Korrik. 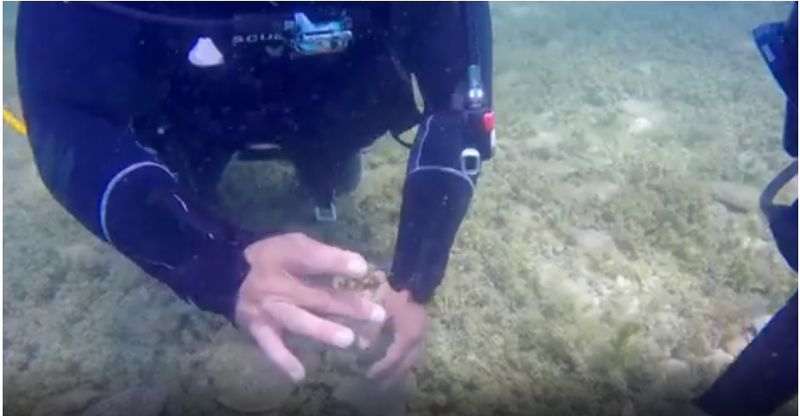 Pogradeci është plot me turistë në këtë periudhë, por shumica e tyre nuk dinë ku të shkojnë përveç se të relaksohen në plazh dhe të shëtisin pasditeve buzë liqenit. 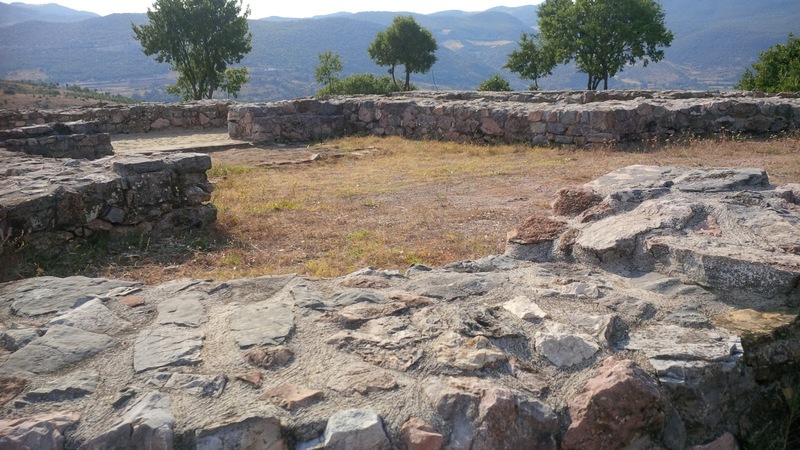 NAPA Korcë përdori këtë përiudhë për të informuar turistët se Peisazhi i mbrojtur i Liqenit të Pogradecit është shumë më i gjerë dhe ka shumë gjëra për të parë. Z. Gani Bego, specialist i administratës rajonale të zonave të mbrojtura Korçë, tha se janë rreth 7 monumente kulture dhe 7 monumente natyrore që turistët duhet t'i vizitojnë teksa janë në Pogradec. AKZM Korçë e dha këtë mesazh përmes Qendrës së Gjelbër, pika turistike informative që ndodhet në Drilon. Ata gjithashtu shpërndanë materiale promocionale për vendet dhe destinacionet rreth Liqenit të Ohrit duke u shpjeguar njerëzve se si të shkojnë aty. Liqeni i Ohrit është një nga të thellët dhe më të vjetrit në Europë dhe është pjese e UNESCO për vlerat e trashëgimisë kulturore dhe natyrore. Tashmë projekti: "Drejt një qeverisjeje të përbashkët të trashëgimisë natyrore dhe kulturore ndërkufitare të Liqenit të Ohrit", financuar nga BE dhe Ministria Shqiptare e Mjedisit dhe zbatuar nga UNESCO, ka qellim të përfshijë dhe pjesën shqiptare të Liqenit si pasuri të UNESCO..
Talking about tourism in Macedonia almost always leads the conversation towards Ohrid. The Ohrid Lake and the town of Ohrid are protected by the UNESCO as a world natural and cultural heritage site – the lake was listed for its environmental value in 1979, and the town for its cultural value a year later. 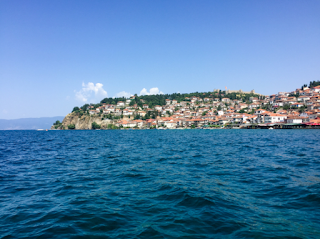 Therefore, it is no wonder that the Ohrid Lake is considered as the main tourist site in Macedonia. 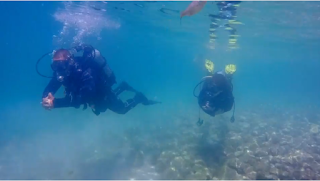 However, over the last few years, so-called alternative tourism is thriving as one of the possible areas for further economic growth. Together with hiking, biking, and ecotourism, paragliding is among the most promising areas for development of the country’s alternative tourism. Kruševo and its paragliding opportunities were recently listed as one of Macedonia's top natural and historic treasures by National Geographic. 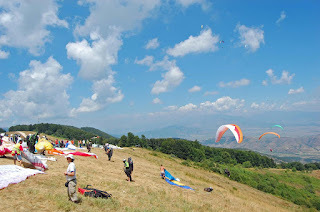 In the top-ten list, right after the Ohrid Lake and before the painted mosque in Tetovo, Kruševo's “prime conditions for paragliding” are emphasized. The town's gifts have recently been celebrated also by the web-magazine Cross Country, a specialised publication for paragliding, praising Kruševo’s ideal environment. “Unusually, the town sits in a natural bowl on the ridge top, so launch is an easy walk from there. The grassy take-off sits above wooded slopes that drop down to the Pelagonia plain, stretching south to the Greek border”, reads the web-magazine, adding that the best flying conditions are from June to September. 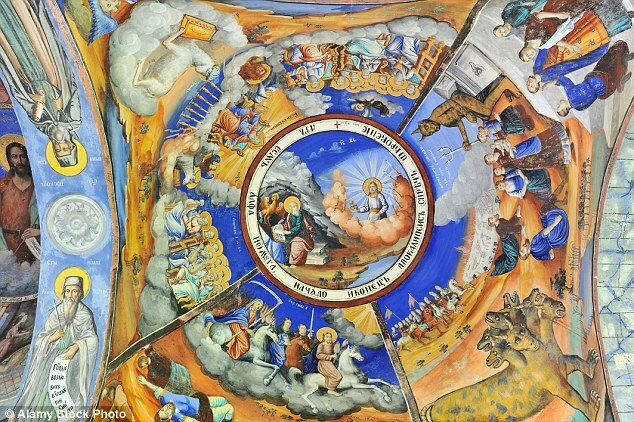 In case of bad weather or family vacations, attractions for the non-flying tourists include “several museums, the Ilinden uprising monument, monasteries, and the ruins of the Roman town of Heraclea Lyncestis in the town of Bitola”. 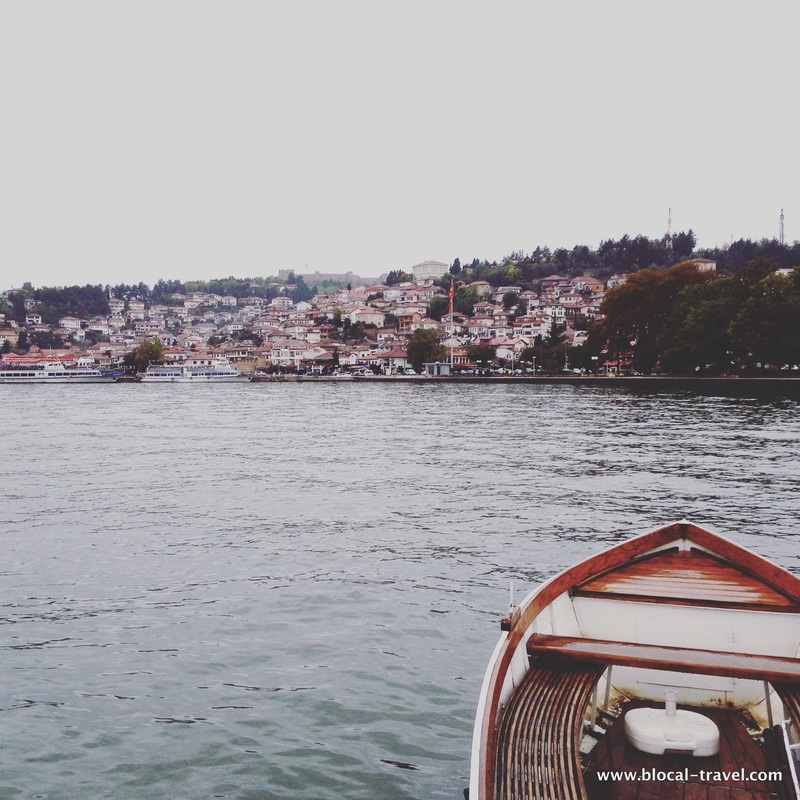 When tourists are gone and winter is in the air, Ohrid becomes again the picturesque lakeside town that has enchanted visitors since the Byzantine Empire. Actually, it is one of the 28 UNESCO World Heritage Sites that are on both the Cultural and the Natural lists. But I can’t help thinking about the time when I was on the other side of the lake, on the Albanian shore. The two experiences could not be more different: the touristy, postcard-perfect Macedonian outline of the Ottoman houses and the rough, neglected jumble of concrete on the Albanian side. Anyone who has visited both sides of Ohrid Lake knows that these two landscapes are not a just lake, but a whole world apart. The Ottoman houses on the shore of the lake are veiled in the morning mist, as if they were white ghosts against a blanket of white. This enveloping whiteness hovers over the wooden boats scattered around the lake and swallows the crown of houses ranged around it. 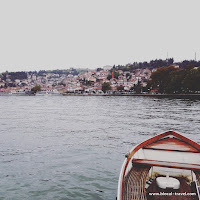 Nevertheless, I know how beautiful the view is, having seen countless postcard-perfect pictures of this UNESCO-listed lake, which is one of the oldest in the world. When tourists are gone and winter is in the air, Ohrid becomes again the picturesque lakeside town that has enchanted visitors since the Byzantine Empire.The pale light of the sun reflects on deserted cobbled streets, and this glowing fog melts in time with the footfalls of the few people wandering around. The ancient stones drenched with rain emanate a wet, winterish smell, which –here and there- is abruptly interrupted by the warm smell of oven-baked bureks. The churches are scented with incense. 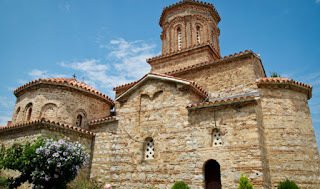 Ohrid is well-known for its churches, which were 365 originally –one for each day of the year- a feature which won it the epithet of ‘the Jerusalem of the Balkans‘. 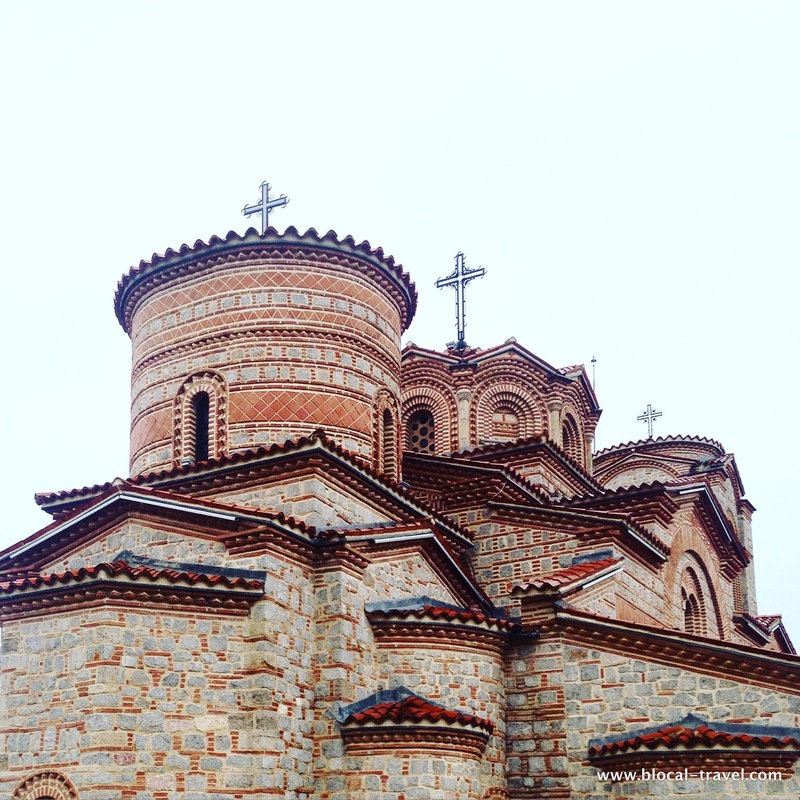 Ohrid’s churches, as well as its architecture, span more than two millennia, but this is just one of the reasons why this enchanting city is recognized by UNESCO. Actually, it is one of the 28 UNESCO World Heritage Sites that are on both the Cultural and the Natural lists. I didn’t stumble upon any celebrations inside Ohrid’s churches. Rather, I always found a profound silence only occasionally interrupted by footsteps tiptoeing on the marble floorings: a solemn atmosphere I bet you can only find during this time of the year, when the town becomes quiet and idyllic again. 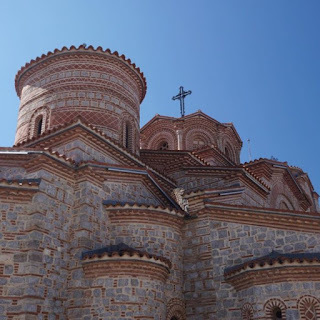 Unlike with my usual ‘travel-style’, I visited a lot of churches when in Ohrid, starting off with an ambitious plan in the early morning, but then slowly adopting a more Balkan approach as the day passed by. This implied Turkish coffees, Skopsko beers, some meaty snacks and the ubiquitous Ohrid trout, which is the protagonist of the traditional cuisine of the area and the only thing that the Macedonian shore has in common with the Albanian side across the lake.The area is also well-known for its centuries-old tradition of wine making. 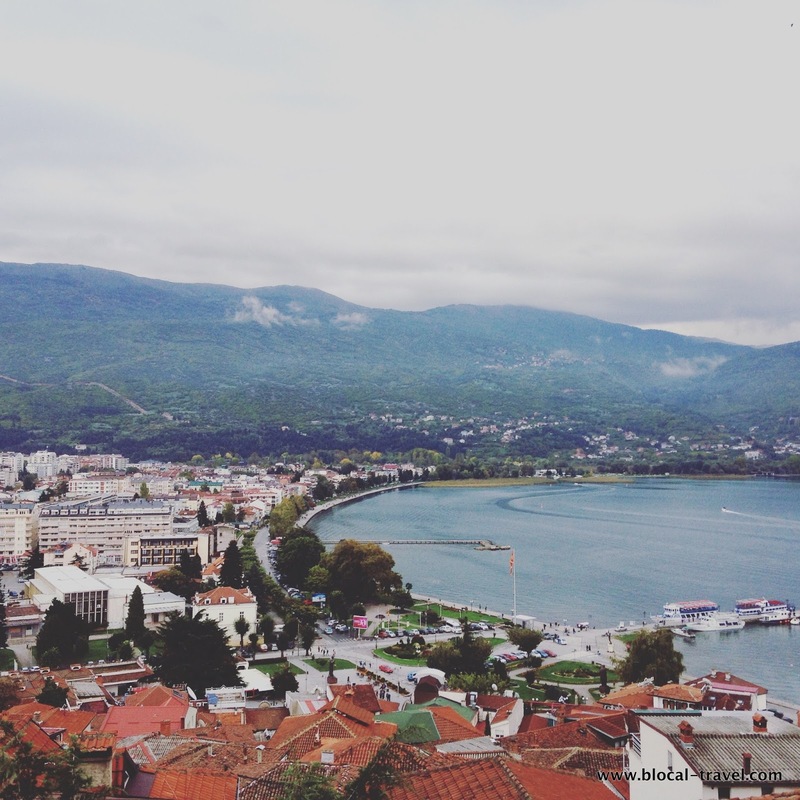 Macedonians love to drink, and Ohrid’s porches overlooking the lake are the perfect place to do it. During the summer, all these lakeside cafés are bustling, but now the paved promenade is empty and everything looks more authentic. Even the accordion player at a fancy restaurant goes for Tose Proeski’s very Macedonian songs rather than the international repertoire of the summer. When the music stops, the only sound I can hear is the rhythmic percussion of waves on sand. As I watch them coming and going, I can’t help thinking about the time when I was on the other side of the lake, on the Albanian shore. 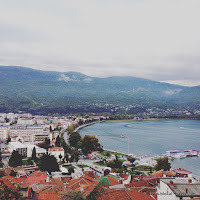 The two experiences could not be more different: the touristy, postcard-perfect Macedonian outline of the Ottoman houses and the rough, neglected jumble of concrete on the Albanian side. "Lake Ohrid is a UNESCO protected lake and town in South-West Macedonia. Squeezed into the border of Macedonia and Albania, it is a heady combination of crumbling villas, terracotta tiles and gigantic statues. This is a town where you will fall in love – with early morning mists hovering over the lake, with deserted castles and monasteries and with delightful, natural springs bubbling from emerald waters". Here is how Anne the founder of the blog TravelTheGlobe4Less, describe the Lake Ohrid Region in her article: Things to do on Lake Ohrid that will make you fall in love, published in the latest days of December 2016. She suggests 5 top things to do around this region, describing them as fabulous destinations, impossible to resist. A visit to the monastery is as much about the journey as the arrival. You feast on beautiful coastal views, and glimpses of the Bay of Bones, the President’s summer house and the only five-star resort on the lake. Inside, frescoes line every inch of wall space, so dated they look like smudged crayon drawings which have rubbed away over time. A sense of serenity overwhelms me and I find myself reliving the sensation of meditating on an Indian retreat. Once you have taken your ecclesiastical fill, wander down the hillside towards the few restaurants and village shops. En route, you will pass boat owners touting short trips into the emerald green springs. Negotiate a price and jump onboard. 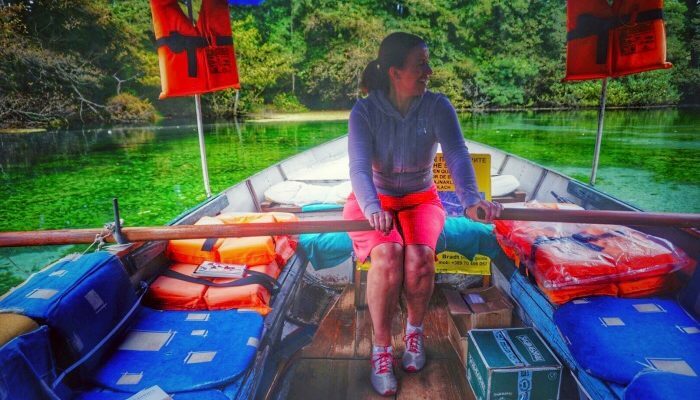 It’s silent apart from the water lapping at the hull of the boat and the oars splashing as we row slowly through the springs of St. Naum. Vivid green waters hide gurgling springs below, the main supply of lake water. We can just make out huge bubbles spewing from the ground into the cold waters like potions in a cauldron. My tour guide, Nikola is something of a storyteller regaling me with tales of previous mishaps on the boat. I struggle to understand everything he says but am happy to stare into the crystal clear waters and thank my lucky stars I am fortunate enough to be here. We row (yes, Nikola is crazy enough to allow me to take the oars!) to a tiny monastery hidden in the bush, the colours so vivid it looks as though the pop filter on my camera has been applied to the scene. It’s truly stunning, like a quaint little cottage hidden in the woods. Cost: the boat trip costs 10 Euro per person and you can book your own trip with Nikola at Nikoturs. This fortress is a Goliath. 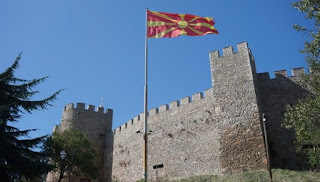 With remearkably well preserved walls, a huge inner courtyard and a gigantic flag fluttering above, it can be seen from almost anywhere in Ohrid. If you want specatcaulr views a little closer, however head to the church of Perivleptos where you have the perfect vantage point of the castle. It pays to get here early too. Although the official opening time is 9am, I arrive at 8.30 and wander through the gates to find myself alone. Like an excited child, I rush up onto the ramparts to admire spectacular views of the town slowly waking from a slumber, wisps of hazy clouds lingering. The video gives you an idea of how fabulous this attraction is (100 Den or 30 if you are a student) especially when you have it entirely to yourself. I have one of my quiet, wow moments, one where I feel a little overwhelmed with a wondrous sense of delight. Does anyone else experience that sensation when travelling? The Wizz Air site proudly displays a picture of this church, which probably sub-consciously influenced me to book the flights. It’s a red terracotta delight perched high on the cliff, above stunning azure waters. I’m drawn to it like a moth to a flame, carefully skittering down the hillside to take a closer look. The architecture resembles many other churches in the area (365 apparently!) with a small dome in the middle and pale-red brickwork. You can reach the church by following a boardwalk along the base of the cliff from the old town of Ohrid. After passing a little shingle beach, the path weaves its way up the hillside until you arrive at a bluff overlooking the church. In the shadow of the castle and high above the water, another monastery greets you with roman pillars suggesting a grand, bygone era. It is clearly an auspicious monument as our visit coincides with that of the Macedonian president meeting Serbian orthodox priests. My curiosity gets the better of me and I decide to pay the 30 Den (student price or 100 for adults: £1.50) so I can get my first glimpse of the president. I wander around the church, snapping pictures of the mind boggling roof shapes then stop to sunbathe. I am basking in the shade of the roman ruins when a posse of people emerge into sunlight. I immediately identify the president (something about the scary looking bodyguards surrounding him!) who passes by so close I can almost reach out and grab him (but I don’t fancy being shot today!). His security is pretty limited and I’m astonished that I can get so close with no security clearance and no search. 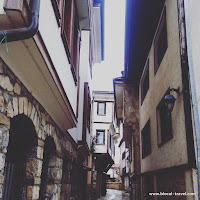 It makes an amusing interlude to my day but I soon forget about it in my quest to discover Ohrid. 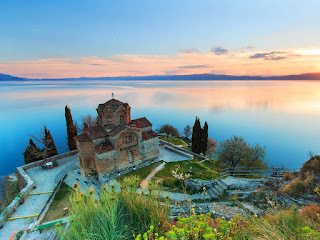 After being recommended as one of top 10 destinations for 2017 by Lonely Planet, Ohrid city and lake ohrid region, is continously attracting the worldwide media to write about the amazing place, and inviting tourists to know and visit it. 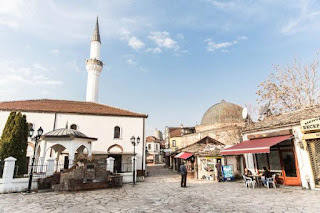 "On our journey to Lake Ohrid, the diamond in this country of many treasures, we crossed part of the ancient Via Egnatia, one of the great Roman military roads of the ancient world – a 696-mile link between Macedonia and Istanbul. Much of the route fell into disuse but some sections are now a walking trail. Julius Caesar, Alexander the Great and St Paul were among those to stride its paved highways in ancient times; much of its artwork and architecture can rival any in Europe, while the sandy shores of its magnificent inland lake beat many a seaside resort. Welcome to Macedonia. Landlocked by Albania, Kosovo, Serbia, Bulgaria and Greece, the country may have a turbulent past. But after centuries of invasions and border disputes, it became an independent state in 1991. With Soviet gloom banished, the magnificent scenery, excellent sporting facilities, intriguing history and archaeological sites are beginning to attract visitors. On our journey to Lake Ohrid, the diamond in this country of many treasures, we crossed part of the ancient Via Egnatia, one of the great Roman military roads of the ancient world – a 696-mile link between Macedonia and Istanbul. Much of the route fell into disuse but some sections are now a walking trail. This ancient and modern link threaded through our journey. 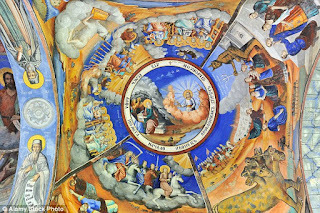 Our accommodation included two nights in mountain monasteries – St Joakim Osogovski near the Bulgarian border in the east, founded in the 12th Century with its great collection of frescos; and St Jovan Bigorski, near the Albanian border in the west. 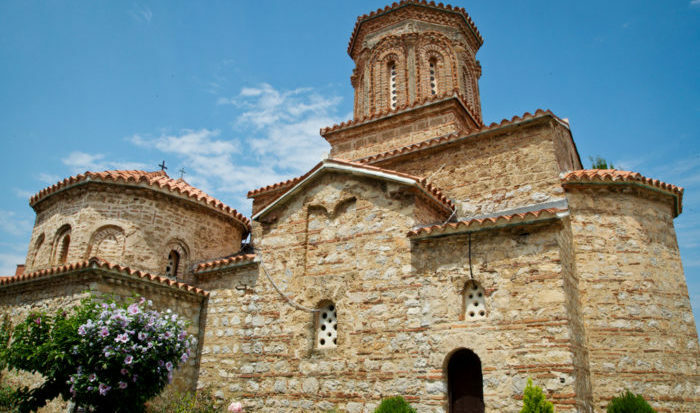 Straddling the Albanian border further south, beautiful Lake Ohrid has it all – pure spring water, some of the country’s most precious icons and, supposedly, a church for each day of the year. 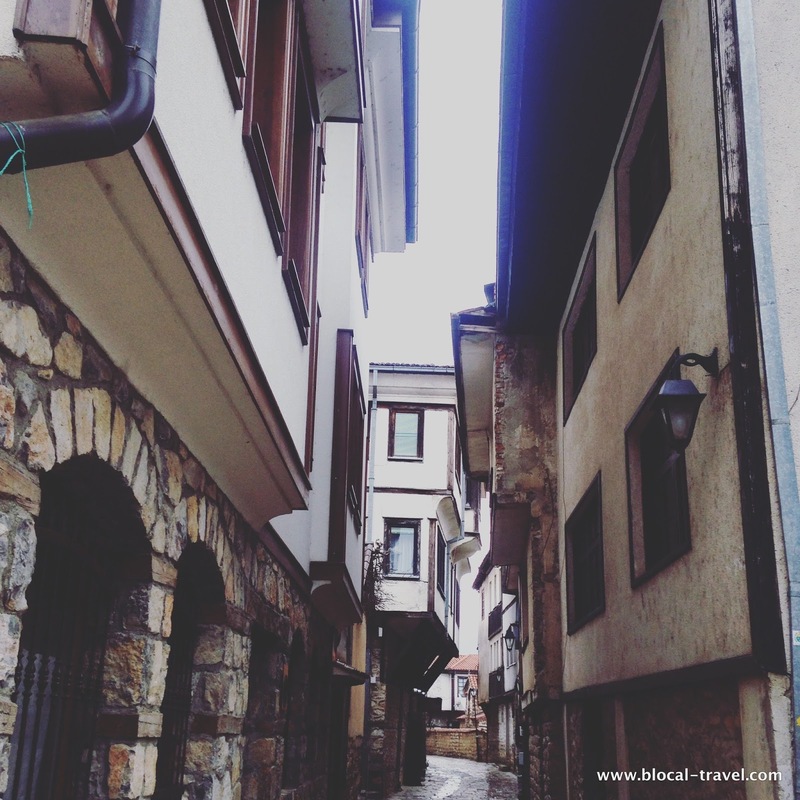 Ohrid town, a blend of cobbled old quarter and modern resort, has sandy beaches, lakeside walks and waterside restaurants. It’s blissfully relaxing. 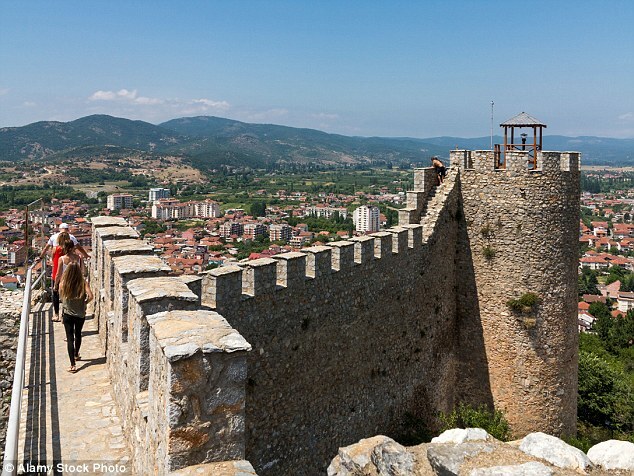 Phoenicians, Macedonians, Romans and Christians all left their mark on Ohrid. We walked the ramparts of the 10th Century fortress of Tsar Samuil, built over the 4th Century BC fort of Philip II of Macedonia, father of Alexander the Great. Centuries later, in 2002, a gold funeral mask and glove, possibly dating from the 7th Century BC and now in the Gold Room of Ohrid museum, were found nearby. So many ancient treasures must lie under the ground of this remarkable country, criss-crossed over the centuries by royalty, pilgrims, peasants and merchants. No wonder curious visitors are now following the archaeologists and historians to this captivating country. Alexander the Great, warrior king of the ancient world, is Macedonia’s hero. But be careful – the locals are touchy about his birthplace. Having explored the capital Skopje’s atmospheric old Ottoman quarter of cobbled streets, busy stalls, slender minarets and shining cupolas, we crossed to the east quarter. This, with its shining neo-classical buildings, art galleries and statues, is the serious side of town. Daniel, our guide, stopped at a statue of a man on a rearing horse entitled The Warrior. ‘Who is he?’ he asked. ‘Alexander the Great?’ ‘Good. Where was he born?’ A pause then a hesitant ‘Macedonia?’ ‘Correct. Alexander III of Macedon was born in Pella, which was then in Macedonia, but is now in Greece. He is not Greek, he is Macedonian.’ Phew! Macedonia is an exhilarating country. The lakes, streams and mountains of its three national parks are perfect for walking, climbing, caving, paragliding, swimming and skiing. Our last night was spent in the Hotel Molika, high in the Pelister National Park with magnificent mountain views. An evening walk through the Molika pines led us past the remains of First World War trenches; a dark and unexpected reminder of the spread of the ‘war to end all wars’ and another fascinating historical element in an enthralling country. The joint goal of partners that gathered around the project "Towards Strengthened Governance of the Shared Transboundary Natural and Cultural Heritage of the Lake Ohrid region" is to support the efforts of local and national authorities to safeguard unique cultural and natural heritage of the Lake Ohrid Region. One of the major challenges ahead is the improvement of solid waste management in this area. 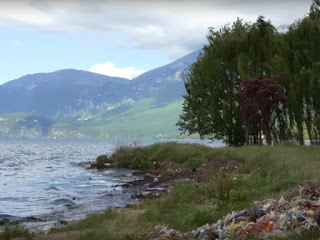 On the Albanian side of the Lake, the solid waste management has been ranked as the priority of the National Plan and National Strategy on Waste Management for the period 2010-2025. In order to make the first steps addressing this issue, the team has set up a governance structure, identifying the representatives of the consortium, local government, and other key local stakeholders. In June 2016, IUCN supported the formation of a consortium gathering the Rural Development and the National Centre for Environment from Tirana and Tourism and Sustainable Development from Pogradec. Their first task is to draft a Local Action Plan for Integrated Waste Management for the Municipality of Pogradec for the period 2017-2023. The plan will support local policy and planning for an integrated waste management system in the Region of Pogradec having in mind the new regional landfill site in Maliq, region of Korca. Based on the assessment of the current state of waste management in Pogradec Municipality, the first draft of the document was produced in September 2016 and is currently being reviewed by the local government. 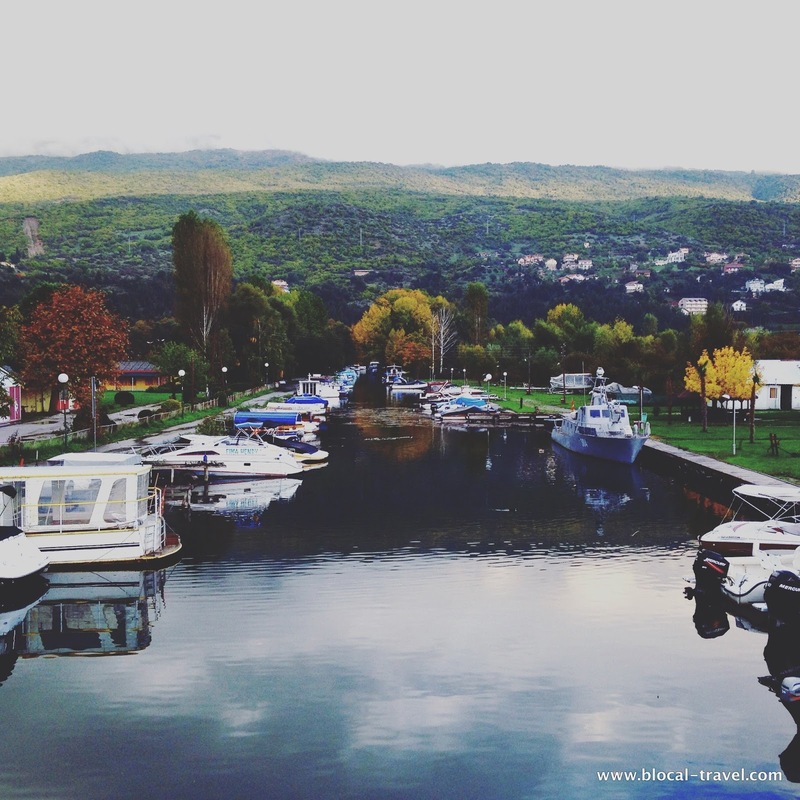 As a following step, the consortium will assist the local government of Pogradec in conducting public consultation on the draft which will also be subject to a Strategic Environmental Assessment. In addition, a waste awareness campaign will accompany the work undertaken at policy level and awareness-raising activities will be undertaken starting from November 2016. Qellimi i përbashkët i partnerëve të mbledhur rreth projektit "Drejt një qeverisje të përbashkët të trashëgimisë natyrore dhe kulturore ndërkufitare të rajonit të Liqenit të Ohrit”, është të mbështesin përpjekjet e autoriteteve lokale dhe kombëtare për të ruajtur trashëgiminë unike kulturore dhe natyrore të rajonit të Liqenit të Ohrit. Një nga sfidat kryesore përpara, është përmirësimi i menaxhimit të mbetjeve solide në këtë zonë. Nën anën shqiptare të Liqenit, menaxhimi i mbetjeve solide është renditur si prioritet dhe në Planin Kombëtar dhe Strategjinë Kombëtare të menaxhimit të Mbetjeve për vitet 2010-2025. Në mënyrë që të bëhen hapat e parë në adresimin e kësaj çështjeje, ekipi i projektit, krijoi një strukturë qeveritare, ka identifikuar përfaqësuesit e konsorciumit, qeverisë lokale dhe cdo grup tjetër interesi lokal. Në qershor 2016, IUCN mbështeti formimin e një konsorciumi që mblodhi Qendrat e Zhvillimit Rural dhe Kombëtar për mjedisin nga Tirana dhe Zhvillimin e Qëndrueshëm të Turizmit nga Pogradeci. Detyra e tyre e parë ishte të përgatitej Plani lokal i Veprimit për Menaxhimin e Integruar të mbetjeve për Bashkinë e Pogradecit për periudhën 2017-2023. Plani do të mbështesë politikën lokale dhe planifikimin për një sistem të integruar të menaxhimit të mbetjeve në rajonin e Pogradecit, duke patur në plan dhe një vend të ri rajonal për landfill në Maliq, rajonin e Korcës. Bazuar në vlerësimin e situatës aktuale të menaxhimit të mbetjeve në bashkinë e Pogradecit, drafti i parë i dokumentit u prodhua në shtator 2016 dhe tashmë është rishikuar nga qeveria lokale. Si hap të metejshëm, konsorciumi do të asistojë qeverinë lokale të Pogradecit në kryerjen e një konsultimi publik të draftit që do të jetë subjekt i Vlerësimit strategjik Mjedisor. Përvec kësaj, një fushatë për ndëregjegjësimin e publikut për mbetjet do të shoqërojë punën e ndërmarrë në nivel politik. Aktivitetet e ndërgjegjësimit që do të ndërmerren do të nisin në Nëntor 2016..